Marios Fournaris, No Title, 2018. 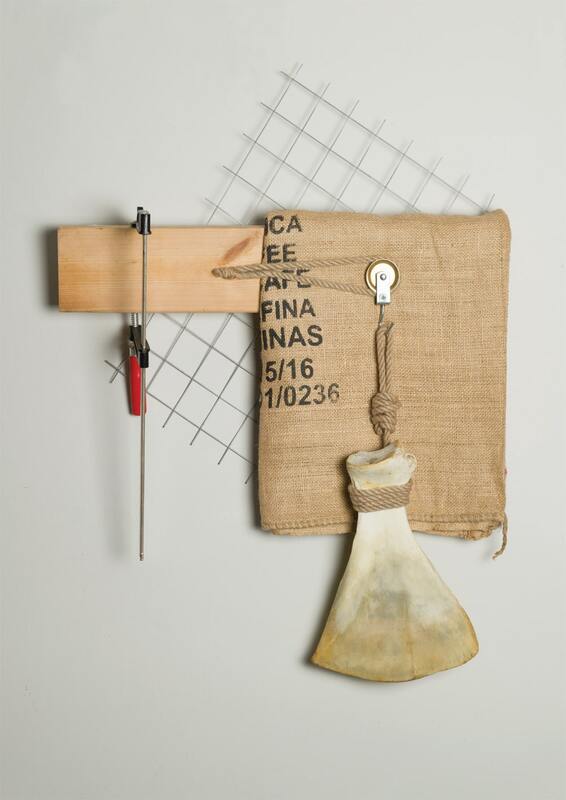 Wood, Iron, woodworking tool, burlap sack, bone, 67cm x 64cm x 15cm. Courtesy of the artist. 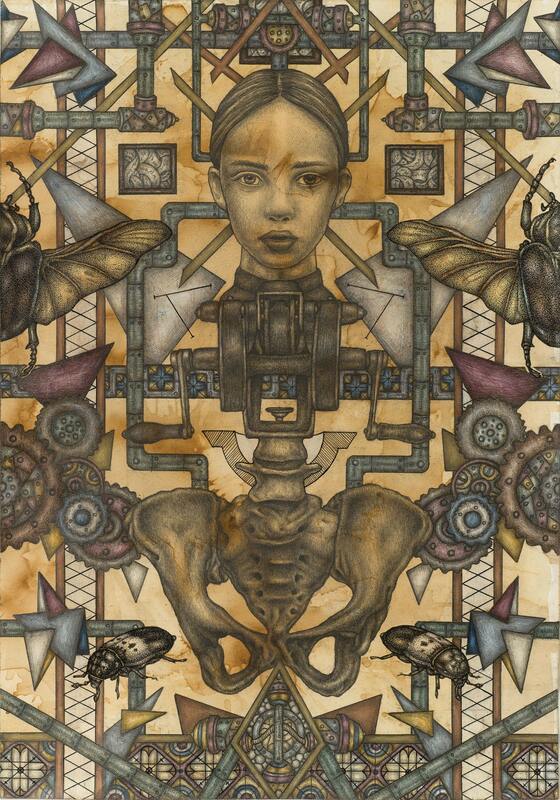 Marios Fournaris, Queen of Blades, 2018. pencil, color pencils ink on paper, 35cm x 50cm. Courtesy of the artist. Marios Fournaris, Voice Over, 2018. 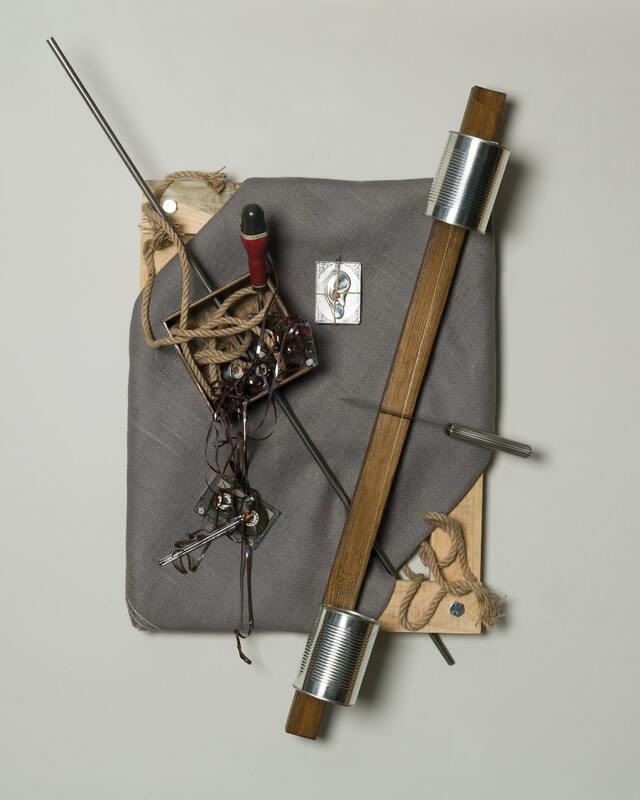 Wood, iron, screwdriver, pen, fabric, cleaver, cassettes, old record, jute rope, aluminium offering, 47cm x 60cm x 17cm. Courtesy of the artist. Marios Fournaris, Where the Music Goes When We Don’t Listen, 2018. 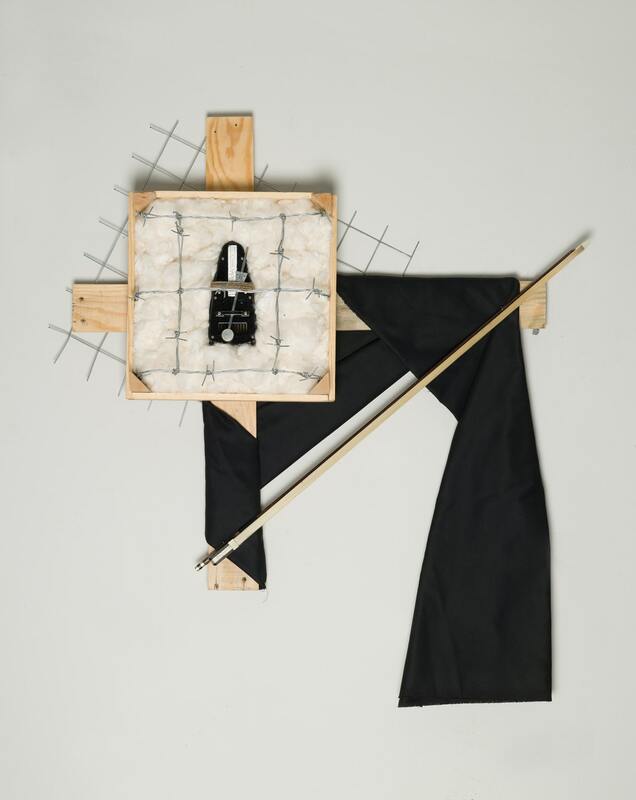 Wood, iron, cotton, metronome, fabric, fiddle stick, 90cm x 78cm x 12cm. Courtesy of the artist.